When you install central heating and air, you take a big step towards making your family more comfortable. 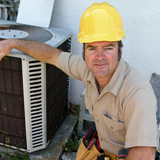 Room air conditioners and heaters often don’t do the job you are looking for. With central heating and air, an air duct system evenly heats or cools your entire home. We can help you select a system that is right for the humidity levels and temperature swings of our seasons and the size of your home. We offer systems with the effectiveness and price that you are looking for. Can I save on energy bills by replacing my older air conditioner and furnace? Yes! Newer air conditioners and furnaces, marked with the logo Energy Star logo are significantly more energy efficient than older models. For example, today’s furnaces use an electronic ignition, replacing pilot lights that burn continuously whether needed or not. 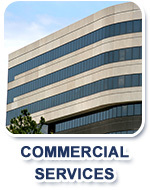 Energy Star air conditioners and furnaces save energy, reduce pollution and save you money. Should I buy the most powerful air conditioning system that I can afford? The effectiveness of an air conditioning system during the most demanding weather conditions is measured by the Seasonal Energy Efficiency Ratio (SEER). It’s not always to your advantage to select the biggest unit or the one with the highest SEER rating. When recommending a unit, we’ll take into consideration the size of your home, your budget and our weather. I already have central heating. Can I add central air conditioning? Central heating and air conditioning systems use the same air ducts and must work together compatibly. While it’s desirable to install them at the same time, it’s quite likely that you can add central air conditioning at a later time. We are experienced at this type of installation and will be happy to help you with it. Can I install central heating and air even after my home has been built? It will depend on the layout of your home but most often, yes! 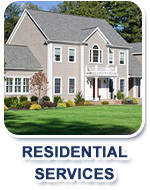 Call us for a Free Estimate and we will give you a definite answer.